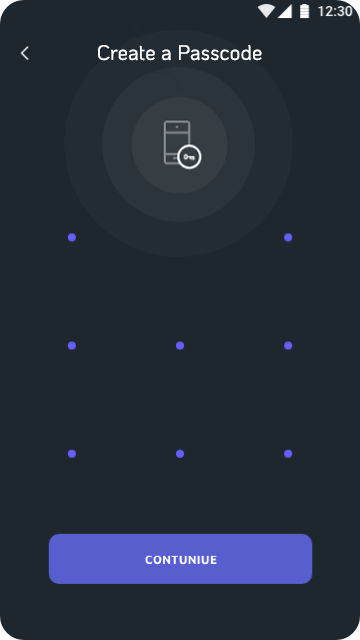 The leading edge mobile security technology for iOS and Android. 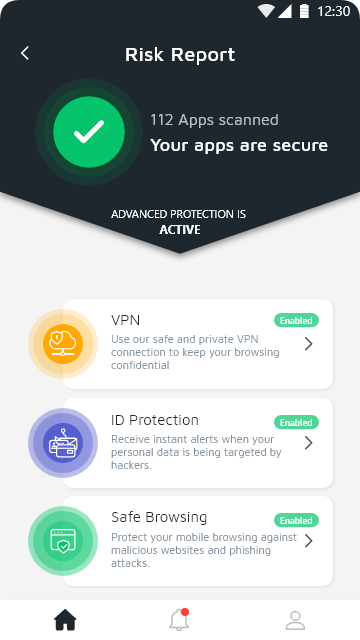 High performance malware engine, VPN, ID Protection, Safe Browsing and AppLock features help you to keep your apps and data safe. Also, SD Card protection, cloud scanning option and up-to-date malware detection capabilities keep your phone safe & healthy. Comodo monitors suspicious activity on the Dark Web and alerts you when your credentials (email addresses, credit card numbers, SSN, etc) are compromised. 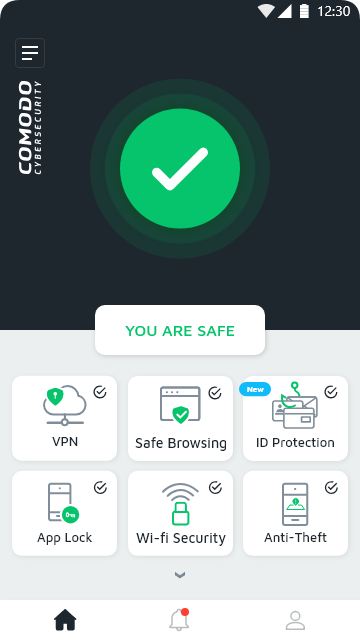 Protect your privacy with Comodo’s mobile VPN. Our Virtual Private Network protects and keeps your data 100% secure and private. Comodo’s mobile Safe Browsing guards against malicious websites and phishing links. 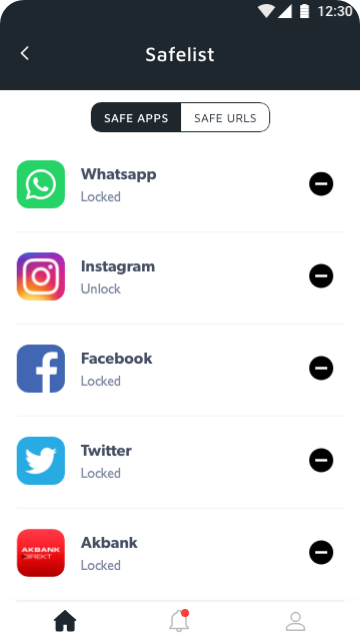 By using Comodo’s free applock you’ll protect access to any sensitive app installed on your phone. 1- What is Identity Theft Protection? 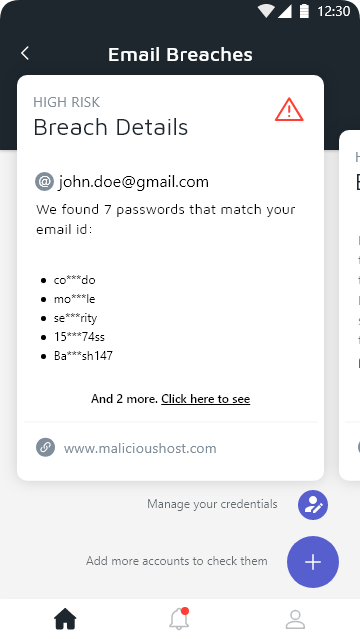 Identify theft protection is a monitoring service that will detect when your email addresses, credit card numbers, or personal passwords are put for sale on the Dark Web. Applock is a feature allowing you to block access to folders and apps of your choice on your device. Even if your phone lands in the wrong hands, access to your dating apps, photo folders etc will be blocked. 3- Does your VPN keep log? 4- What is Safe Browsing? Safe Browsing detects malicous web sites and phishing schemes on websites before your browser accesses the suspicious pages. Get Comodo Mobile Security now. It’s free! Experience true enterprise-grade mobile security on your mobile devices. Comodo Mobile Security is available on Google Play and on Apple’s App Store.